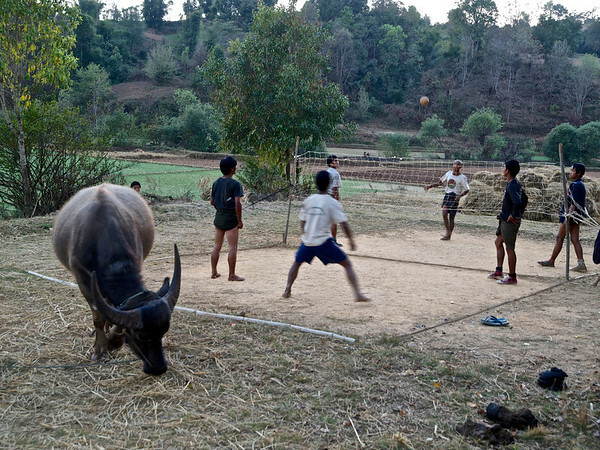 An uneventful, but long bus ride up a very curvy mountain road ends with a late afternoon arrival in Kalaw. I check into the Golden Lily Guest House where I find a basic single for US $7.00. They have some better rooms at a higher price but I pass since my goal is to book a trek and begin it early the following morning. I have been forewarned that Golden Lily will try to hard sell me their trekking service. I do a good job of avoiding the pitch. Immediately, I meet Kelly, an RN from San Diego. 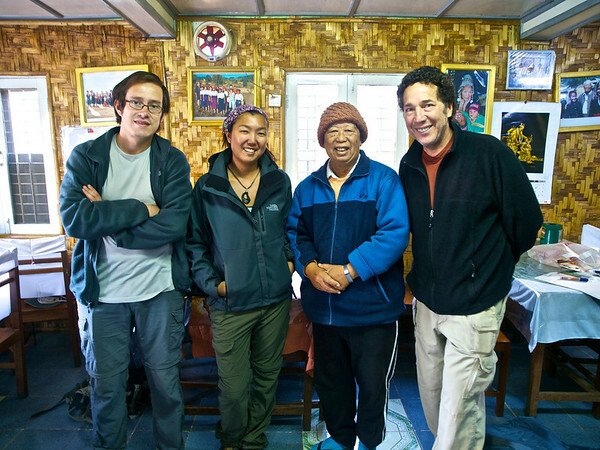 We are both interested in trekking and take off to comb the town and interview perspective companies. After three so-so attempts we find Uncle Sam’s Trekking Company. We are impressed with his mature and easy going competency. He displays an impressive knowledge of the land and can offer us several tailor-made options. 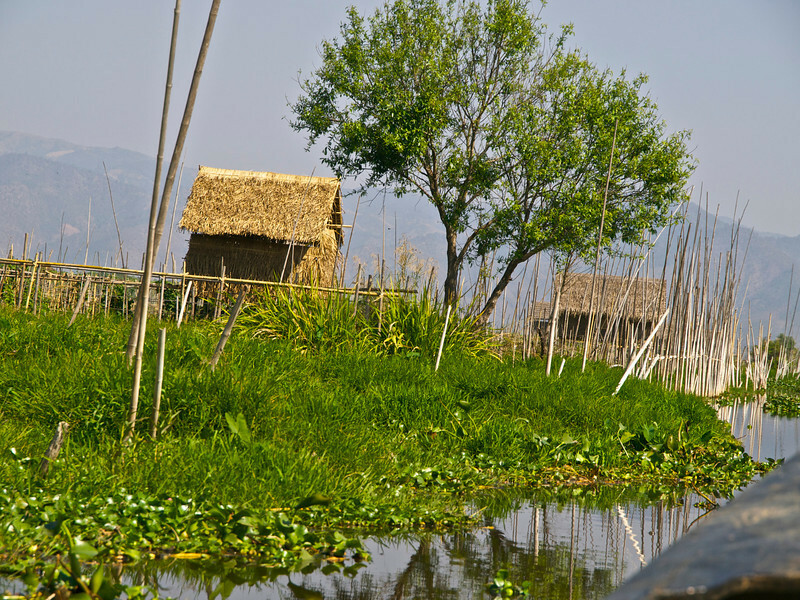 We decide to book a three day trek to Lake Inle. We meet Juan, from Costa Rica, in the process and he joins our band of stalwarts. We meet at Uncle Sam’s early the following morning. 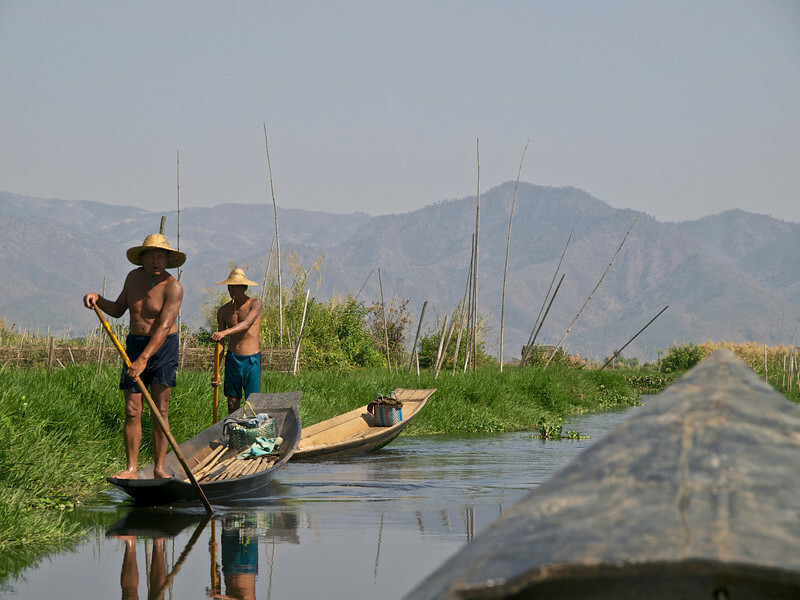 Overnight he has booked me a room at Lake Inle, I requested it after having no luck on the phone. He will send our backpacks ahead and we will trek for 52 miles with daypacks. We meet our guide, a 22-year-old Burmese woman who speaks good English and is a recent college grad (a rarity in Shan State). We are also introduced to a young man who will accompany us. He is introduced as our cook and promptly takes off. We almost never see him during the next three days. By 7:30 am the four of us are off trekking away from the town. Another 15 minutes and we start to climb. Another 15 minutes and the temperature begins to climb as well. We set a steady, but moderate pace. Other than my profuse perspiration, I find it easy to keep up with my younger companions. This will not always be the case, particularly during some of the steeper ascents. 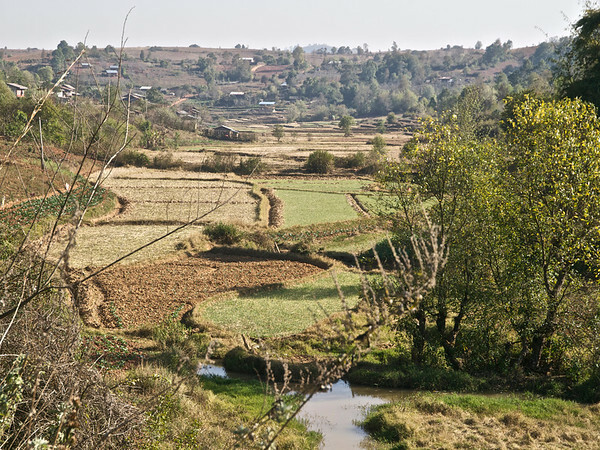 Over the next several hours we go up and down mountainous terrain and through hidden valleys and rice fields. Midday and we stop at a mountain village for lunch in a local family’s home. 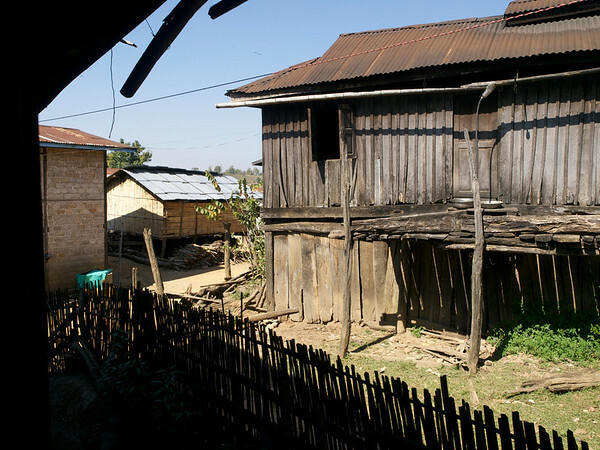 The simple home, with no electricity, is a welcome relief from the 100° F+ heat outside. 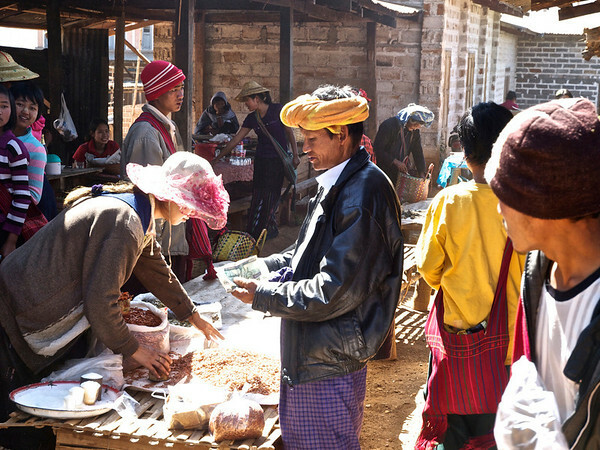 The Shan people are different from the Burmese in the lowlands, both ethnically and in dress and custom. After lunch and a little snooze, we resume. We follow a railroad track for a couple miles and eventually come to a small village where we stop to buy cold drinks and await the local train. After all this rest it is rather difficult to get going again but we have two more hours of trekking before we reach our vilage for the night. 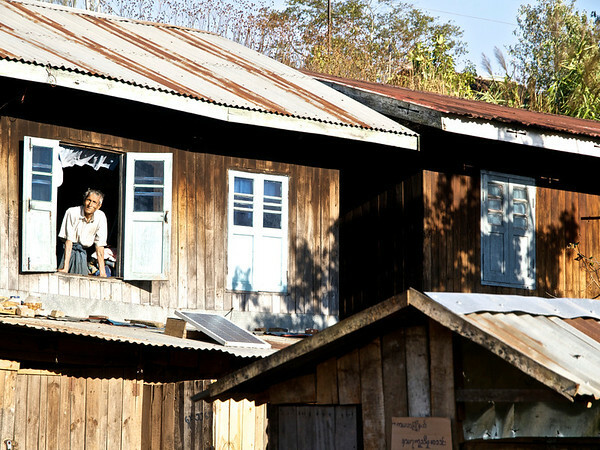 Like most mountain villages in Shan State, this one has no electricity or indoor plumbing. We eat by the light of some candles. 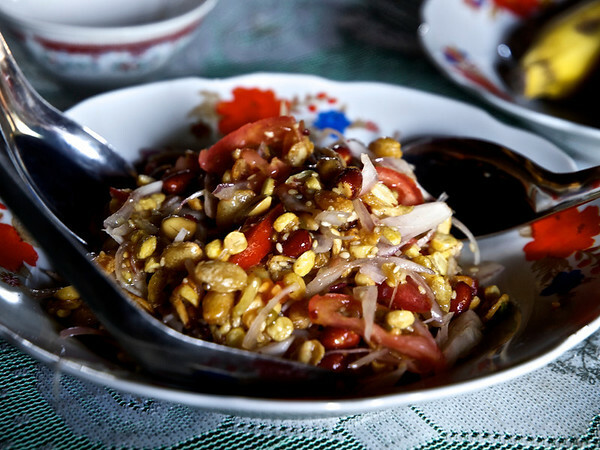 The delicious ethnic Shan food is ravenously consumed. After dinner, our host lays mats out on the floor for us to sleep upon. A large pile of blankets is provided. During the night it gets incredibly cold. I stay comfortable under three heavy quilted blankets except for nearly freezing during a trip outside to pee. I awake just before dawn and the family is already quietly stirring outside and in the kitchen preparing the day’s meal. After breakfast we say our goodbyes and resume our trek. 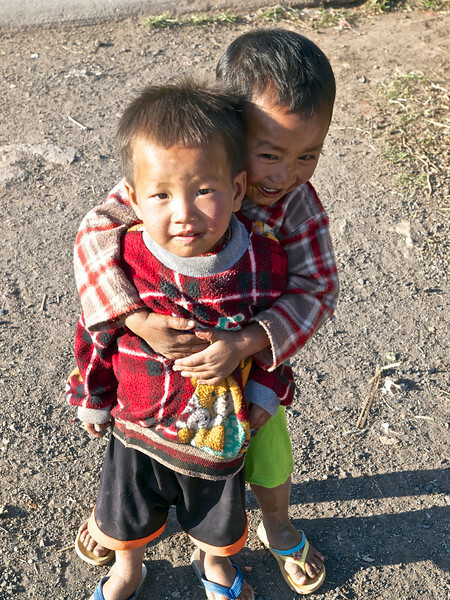 I am and will continue to be touched by how generous the Shan mountain people are in act as well as in spirit. Most have little in the way of possessions yet they will invite strangers into their homes for tea, a meal or to spend the night as a common practice. All I meet are genuinely happy. Westerners are still something of an oddity to them. Locals often stare at us without inhibition. I am told today will be our longest day. Upon leaving the village, we immediately begin climbing a formidable mountain range. This time I have some trouble keeping up, especially for the first hour or two. My heart is hot and happy! Around 4:00 pm we come to a river and go for a swim, briefly escaping the sweltering heat. 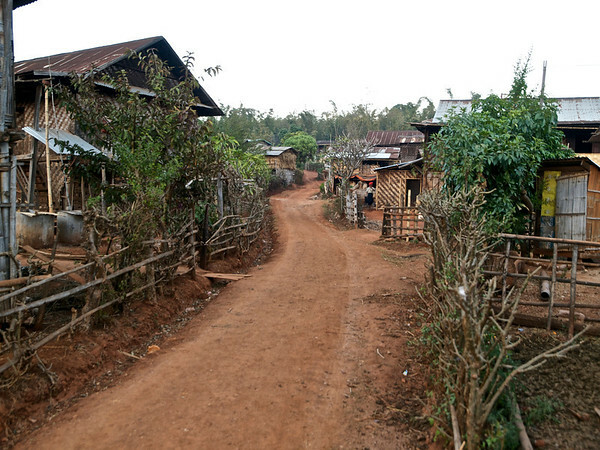 About an hour later we come to a larger village where we will spend the night. This village has a small store and we each purchase and consume a Mandalay Beer. Then we settle in, have another great dinner and are soon off to sleep. Tonight it is cold but not nearly as frigid as the first night’s village. Many of the treks come through here on their last night so the village gets more foreign visitors. The house where we stayed is constructing another building so I guess business from the trekking companies is good. 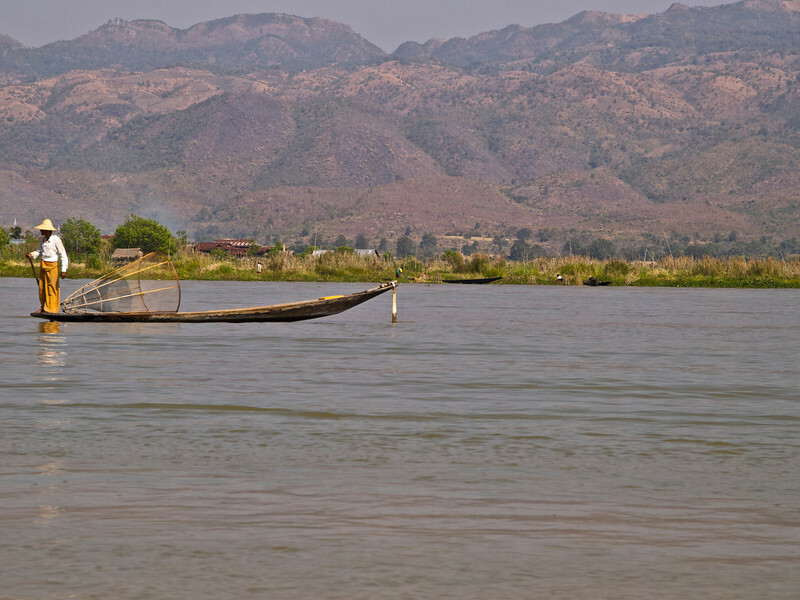 In the mornng we begin the last half day to Lake Inle, arriving around noon at the southern end. 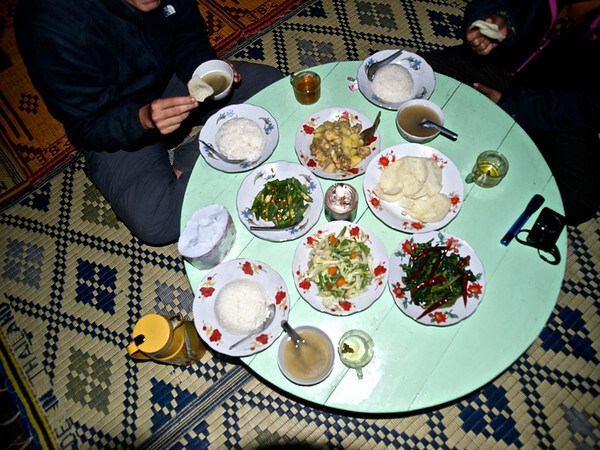 We have a last lunch together and then board a boat for a 90 minute ride across Lake Inle and its floating gardens. In retrospect, this is probably the best way to see this whole water based world. We will spend two nights here before continuing our separate ways. HIT BY A PICKUP TRUCK IN LAOS! What and why is your quide have something smeared on her face? Kevin, that is called Thanaka. It is a paste made from grinding the wood and bark of the thanaka tree with a little water. 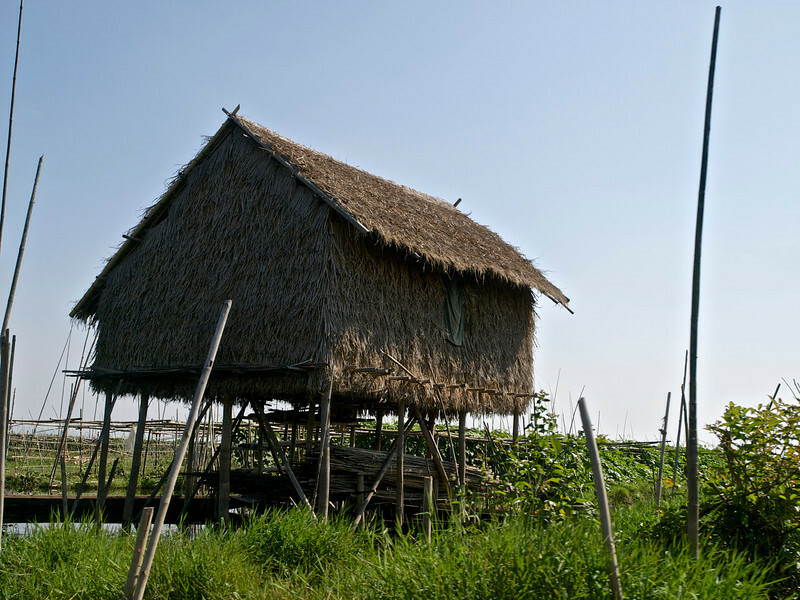 Burmese women, children and sometimes men use it both as sun protection and as a cosmetic beauty enhancement. What a wonderfully amazing experience to trek thru these lands. Your photos are exquisite and capture the essence of the places you trekked thru~so great to “see” you~hope your hand is healing and you’re able to continue your travels soon! Thanks Judie. The hand is slowly healing and I will hopefully be able to explore anew in a few weeks. Meanwhile, it is good to just be able to write again. 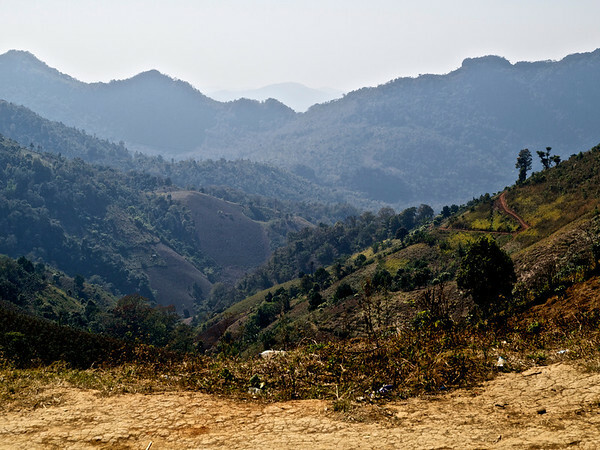 Wow what an amazing time you had there in the heart of Burma – great to travel along with you through your words & photos. Thanks Kay. 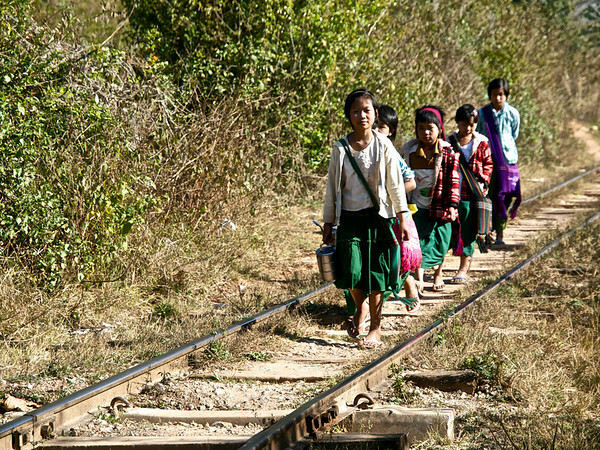 I can’t wait to return to Burma and her wonderful people. I’m glad to see your hand is well enough you can post blogs again! I assume your remaining in a resting position to make your hand heal fast, everything boring that you possible would nver want to do, right? I put a comment in brackets at the end of my comment, the auto wahtchamacallit removed it. Pfffftttt!!!!! to note that’s not likely! It is good to type and write a bit. It’s still slow going and yes I am a bit restless. 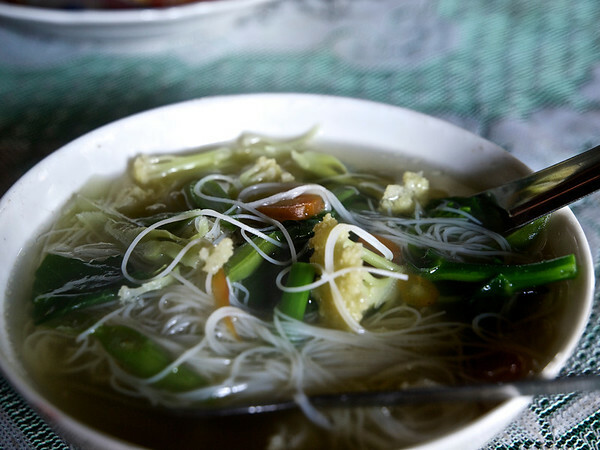 Chiang Mai is a great place to layover though and the food is incredible and very cheap here. So glad to see you’re up and running again… Well I guess walking would be more accurate. Come visit when you are stateside. Walking and laying in bed is more like it. But I am improving. Thanks Pam. I highly recommend going and relatively soon. I hear October is really nice and greener. I have listed some good (and one terrible) guesthouses in my travel tips section too. How are things in Columbus? 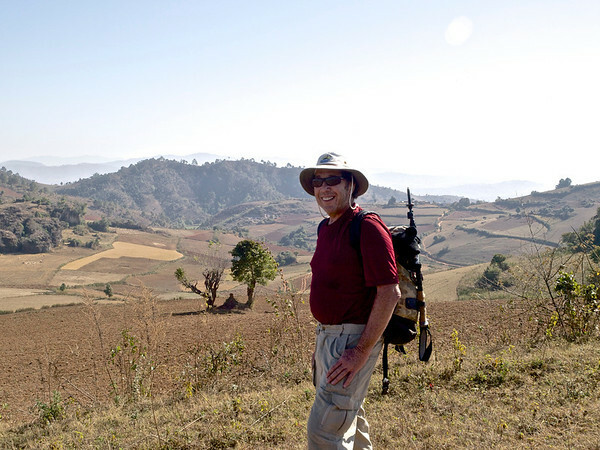 Hello, I came across your site and found your site useful for my planning of the trip to Myanmar. May I know do you have the contact of Uncle Sam’s Trekking Company? It seems there’s no contact from the google. Please could you share if you have one? Thanks. Hi Diana and thanks for stopping by. Here is his email which is all I have: samtrekking@gmail.com. I did send him an email about a month ago thanking him for the trip and asking a question. But I never got a reply so not sure if he checks it very often. 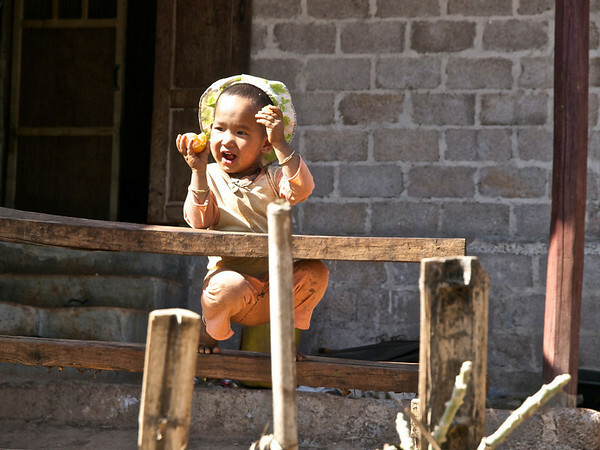 He has a small business and restaurant in Kalaw. He can arrange a variety of customized treks usually to start the next day so no problem just dropping in there. Hi Philip, Thanks for the contact. I have sent Uncle Sam email hopefully he can read it and reply to both of us soon. I read through your Burma articles, and they are so amazing, seems most of the time from your trip was content and happy and I liked the way you interacted with the locals, meeting same goal travellers is not easy for everyone. Bad that I just had 7 full days in this place next month, really can’t make the option to the south. So I just mix cities+natural scene+ethnic culture, getting what I can get most with my limited time. Thanks for the share. Look forward to your new adventures sharing soon. Hi Diana–even if you do not hear back before you travel, you should have no problem booking with him. 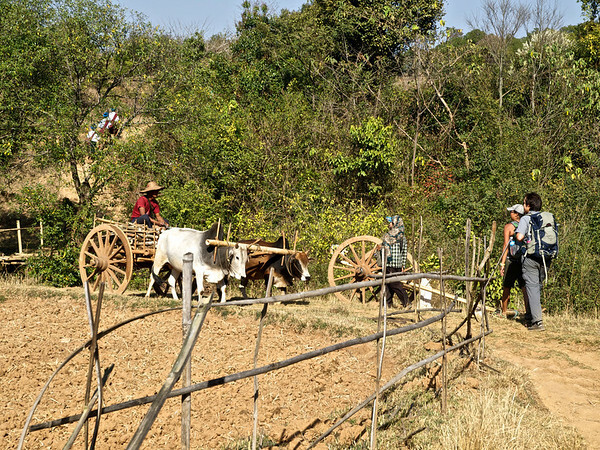 There are many trekking companies in Kalaw…that seems to be the chief industry there. Many are so-so and overcrowded. Sam has his own routes through the mountains so avoids much of that. 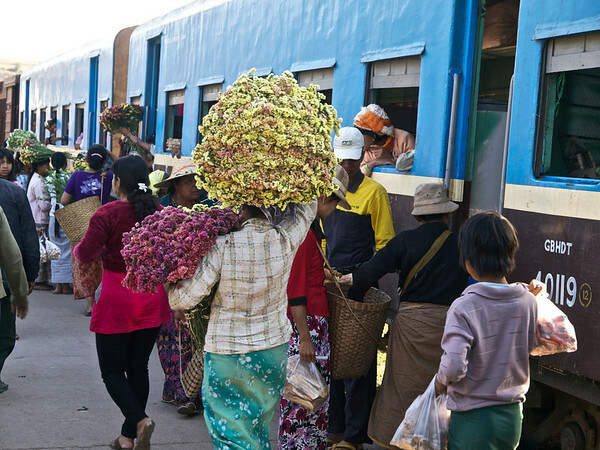 True seven days is not a lot but should give you a nice taste of Burma and her lovely people. I know already that I will return, perhaps in October if not earlier. Enjoy your time and don’t rush. There is much to experience in the in-between moments there.